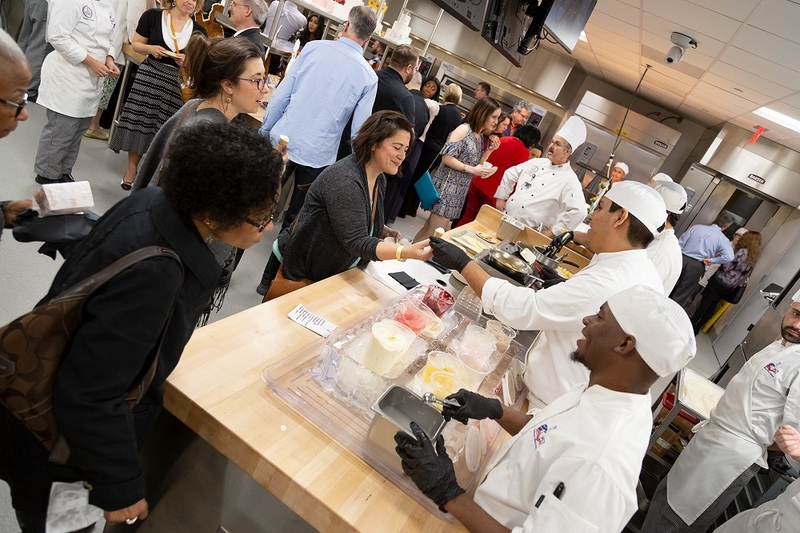 Guests will tour the college’s City Center Campus and enjoy food prepared by JJC student chefs. Wine and local craft beer will also be served. “Join our talented culinary students and faculty for an incredible evening of countless gourmet dishes, artistic pastries, local craft beer and award winning wines as you wander through five stories of the state of the art culinary facility within the City Center Campus,” said Chef Mike McGreal, Culinary Arts Department chair. The event is from 6-8:30 p.m. on Friday, April 12. Tickets are $85 per person and available for purchase at www.jjc.edu/wanderingfeast. City Center Campus is located at 235 N. Chicago Street in downtown Joliet. All proceeds from Wandering Feast will be used toward scholarships, educational equipment purchases and professional development opportunities. One of the top culinary programs in the nation, JJC’s Culinary Arts program offers classroom learning and hands-on experience in a first-class environment. It include 13 commercial kitchens, and two student-run restaurants and a café. The City Center Campus, which opened in January 2017, also houses community and continuing education courses and the Workforce Education Department.